Pioneers in the industry, we offer bkc disinfectant, fishery disinfectant, aquaculture chemicals, granular chlorine and hydrogen peroxide with silver for aquaculture from India. Chemtex Speciality Limited is involved in the manufacturing of different types of disinfectants and biocides to be used in various applications. Chemtex’s BKC Disinfectant works on a broad spectrum. It is used for versatile applications for surface and water in various applications throughout food and beverage industries and institutions. 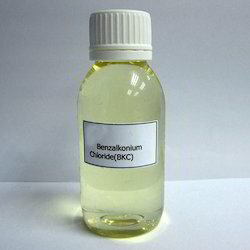 Benzalkonium chloride is used as a cleaner & disinfectant. It is mostly found in hand sanitizers, emergency treatment (to avoid disease in minor scratches and cuts), general skin antiseptics, hygienic towelettes and wet wipes, and disinfectant arrangements used to clean surgical instruments. 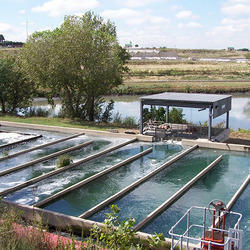 Water, the living grounds for aquaculture harbours many pathogens requiring their timely removal. Control of water quality is the key component for a productive maritime society like fishes, prawns and shrimps, etc. Chemtex’s Fishery Disinfectant is a broad spectrum eco-friendly disinfectant. an eco-friendly aquaculture disinfectant based on Glutaraldehyde, 2nd and 4th generation QACs. It remains active even in presence of high organic matter. It ensures complete removal of microbes and pathogens. It prevents algal growth and is safe and nontoxic for fishes and humans. Chemtex Speciality Limited formulated Aquaculture Chemicals are referred to as a range of chemical products that help in the process of aquaculture among which Aquaculture Disinfectant gains special mention. Aquaculture Disinfectant is a more safer option to antibiotics. Aquaculture Disinfectant avoids cross contamination. And, furthermore should have the capacity to be utilized as a part of in-between cultivating cycles. Fishes discharge a great lot of wastes and other natural compounds that turn toxic/ harmful with bacterial activity. These wastes empower algal growth and different other microorganisms hampering the balance. Fish wastes are a good nourishment hotspot for microorganisms (which could be human pathogens) which then later consumed by humans prove to be a burden. Some cases incorporate the contribution of Hepatitis infection, Listeria, Salmonella. Aside from people, serious contamination of lakes results in far reaching fish diseases too. What's more, at the end of the day the outcome is the same, to be later devoured by people and far reaching sickness. Granular Chlorine is basically chlorine in granular form. It strongly smells of chlorine, owing to its slow decomposition. As a sort of disinfectant, it can safely sanitize drinking water, swimming pool, silverware and air, domesticated animal husbandry, poultry and fisheries, and cleans mechanical circling water. 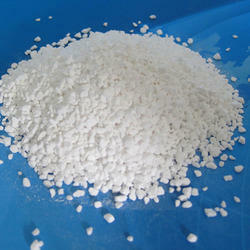 Rather than tablets, granules of chlorine come in pots and are just scattered over a pool. 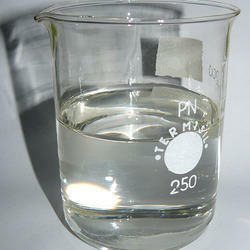 They're less concentrated (around 60% pure chlorine), and break up more effortlessly. Chlorine granules are mostly used as a shock treatment for pools since they break up faster than tablets. Thus are more efficient in killing microorganisms. Hydrogen Peroxide with Silver for Aquaculture is the use of silver salts like silver nitrate or silver Nano particles to stabilize Hydrogen Peroxide to be used for disinfection in Aquaculture; this stabilized blend of hydrogen peroxide and silver proves itself as a much potent and powerful biocide effective on a wide range of microorganisms. Silver Hydrogen Peroxide is a multipurpose disinfectant composed of silver nitrate, hydrogen peroxide and additional inert stabilizers. 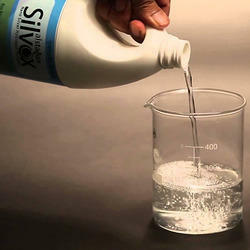 Silver Hydrogen Peroxide is an universal eco-friendly disinfectant with an extensive variety of applications. It is a potent bactericide, virucide, fungicide working on a broad spectrum of microorganisms. The silver in hydrogen peroxide acts on the DNA, while the hydrogen peroxide is destructive on the microbial cell walls, making this hydrogen peroxide with silver work on a double stage. Looking for Aquaculture Chemicals ?